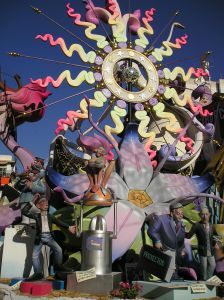 Below you can find a description of local and national holidays and other celebrations in Alicante. 19th of March - San José. Especially celebrated throughout the region of Alicante because he is the patron saint, this is also Fathers Day in Spain. 20-29th of June - Fiestas de Alicante. Throughout the week there are concerts and parades in the city, also a flower offering and many fireworks. The grand celebration is on the night of 23rd with fireworks on Mount Benacantil and the burning of the hogueras, which are the large cardboard figures. In the old quarter of town there is a Medieval market. 1st of November - All Saints day. National holiday in Spain. Halloween is celebrated in some places in Alicante but it is not a Spanish tradition.